Flip multiplication is a times tables game, developed in conjunction with Ian Wilson, head teacher at St. Margaret's Lee Primary School in London. His unique method for teaching times tables has been a success with pupils at schools across the UK and we're delighted to be able to bring his methods to even more children via this app. 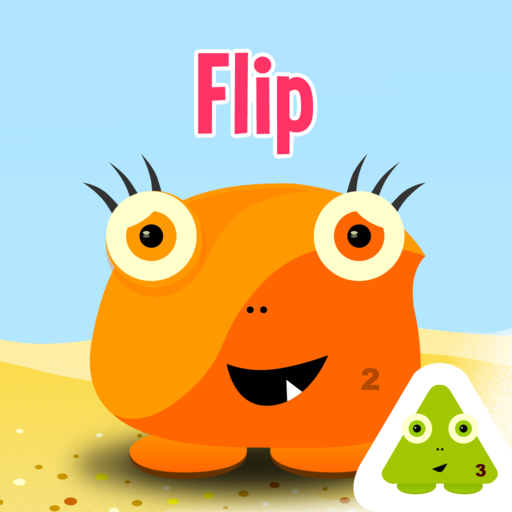 In this app, we simplify the process of learning times tables by encouraging children to "flip" the question if they aren't sure of the answer straight away. For example, they may know that 7 x 5 equals 35, but when faced with 5 x 7, they struggle. By understanding that those two questions are asking the same thing, children can move forward quickly with not only learning their times tables, but also understanding how multiplication works, cutting the number of tables they have to "learn" almost in half. The tables are split into six, manageable, colour-coded levels, each one progressively slightly more challenging than the last. To pass a level, your child must not only answer all the included tables correctly in practice, but also prove they know them in a timed test. Questions from previous levels are also included in tests so that they aren't forgotten as progress is made through the app. 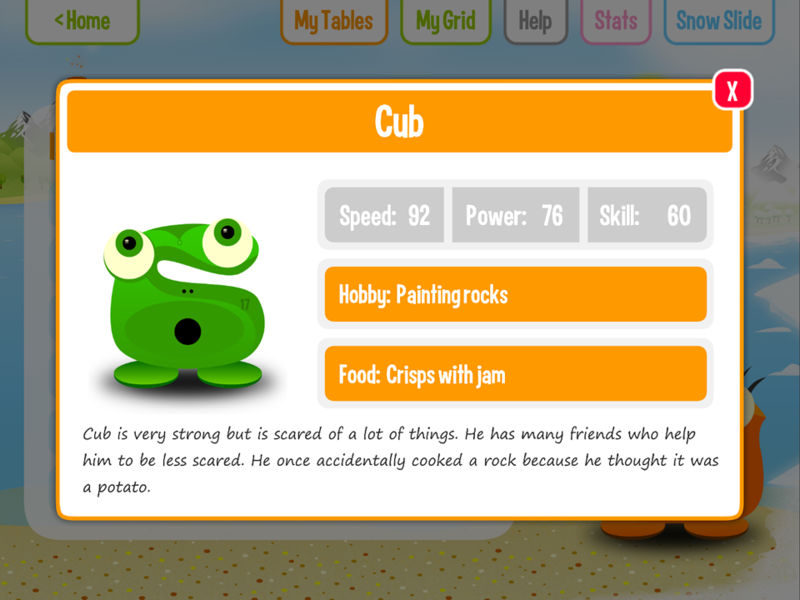 A tables grid that shows the levels and each child's progress through them is available for reference and a "Flip" button for each question gives children the chance to see how flipping a table works. If they don't know the answer straight away, they can flip the question and see if that helps them. "With this method of teaching and testing, children become confident at recalling their multiplication facts at an early age. The idea of virtually cutting in half the number of facts to memorise makes learning times tables far less daunting, particularly for children who find maths difficult! We still devote time to learning our tables, particularly the 2, 3, 4, 5 and 9 times tables. However, if the flip method is embedded then the 6, 7 and 8 times tables are reduced to just six multiplication facts: 6x6, 7x6, 8x6, 7x7, 7x8 and 8x8. Try it and see!" By answering times tables questions correctly and passing levels, children can earn 35 completely new Squeebles characters, including five fantastic Squeebles created by our competition winners from our May 2016 competition. Gem stones are also awarded, which can be traded for any of 30 sledges to use in the Snow Slide game, a fun mini-game where Squeebles speed across the snow and ice and into space. Turns on this game are earned by answering tables questions correctly. The game is fun, quick and only accessible if you consistently return to the educational part of the app, so children can't spend ages playing the game unless they've spent substantially longer on their times tables! The parents / teacher zone allows teachers and parents to register unlimited new players, view stats and progress for existing players, manage player settings and more. This area can be password protected to stop your little people going in there! As with all our apps, there are no in-app purchases, no adverts and no internet links of any kind within the app.